A Toronto teen is on his way to the Grammy Awards this weekend after an album he sang on that features songs written by Holocaust victims was nominated. Fifteen-year-old Isaac Rosenberg was interested in music at an early age. He started playing the piano when he was five years old and then learned the guitar and joined a choir. “I know it’s something I really enjoy when I can just sit there for hours without being bored in any way,” Rosenberg told CTV News Toronto. 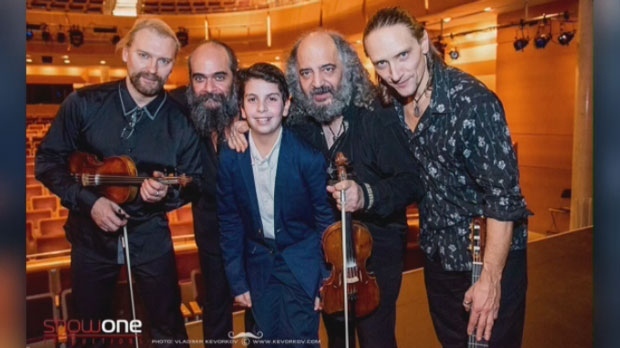 About four years ago, Rosenberg’s mother, who is a professor of Jewish studies at the University of Toronto, told him about a project that involved lost songs from the Holocaust and said they needed a young voice to perform some of the songs. Rosenberg said that he wasn’t interested at first, but then he read the lyrics. 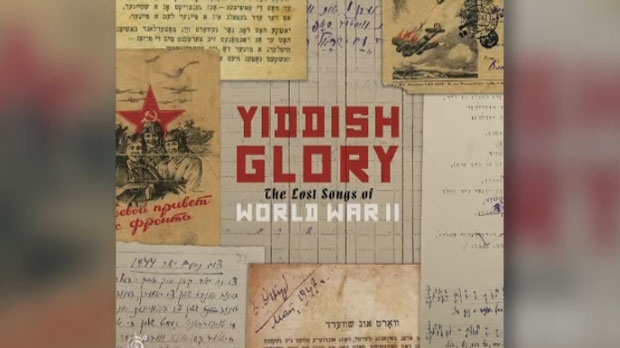 The album ‘Yiddish Glory: The Lost Songs of World War II’ showcases lyrics that were all written by Holocaust victims and survivors. The collection of Yiddish songs was found in unnamed boxes by librarians in the 1990s. According to the project’s website, many of the lyrics detailed the experiences and stories of Jewish people during the Second World War and the Cold War. The songs discovered had not been performed since 1947. After hearing the lyrics, Rosenberg auditioned to be part of the project and started recording the music when he was 12 years old. He said the song reminded him of his grandmother, who ran away from home when she was 15 years old. Rosenberg said his grandmother’s 11 siblings were all killed during the Holocaust. Rosenberg said he couldn’t believe his eyes when he saw ‘Yiddish Glory’ had been nominated for Best World Music Album at the Grammy Awards. Rosenberg is the youngest member of a Toronto-based ensemble of musicians who perform on the album. Rosenberg will be going to the Grammy Awards with his dad, who said he is “so proud” of his son. The Grammy Awards will be held on Feb. 10 at 8 p.m.